To drive certain types of commercial motor vehicles in the United States, the federal government requires drivers to possess a commercial driver's license (CDL). These licenses, however, are not all created equal. 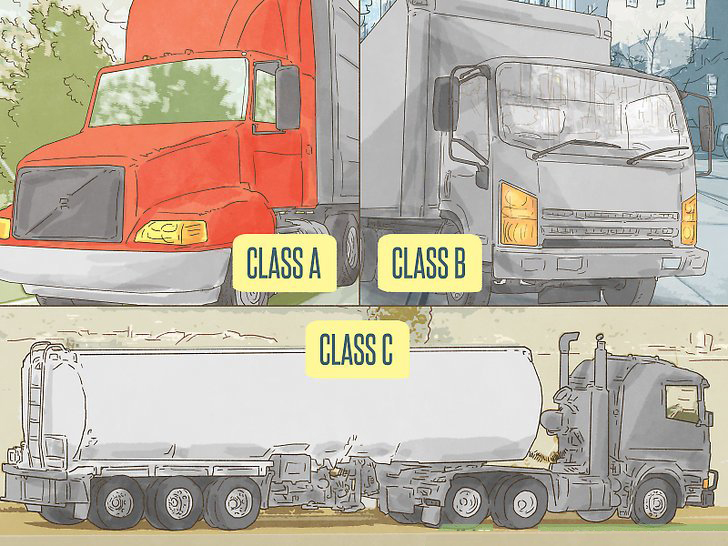 Each CDL classification is distinguished by the vehicle's gross vehicle weight rating (GVWR) among other items. Keep in mind that the CDL classification you apply for will determine not only the type of vehicle you are allowed to drive, but also which endorsements you may be required to obtain. Here is a breakdown for each CDL classification and the examples of vehicles you may be allowed. A Class A commercial driver's license is required to operate any combination of vehicles with a gross combination weight rating (GCWR) of 26,001 lbs. or more, to include a towed vehicle that is HEAVIER than 10,000 lbs. A single vehicle with a GVWR of 26,001 lbs. or heavier. Any vehicle as described above that is towing another vehicle weighing UP TO 10,000 lbs. 5. Dump trucks with small trailers. In addition, a Class B license may allow you to operate some Class C vehicles if you possess the correct endorsements. For more information, visit our guide to CDL endorsements. 1. The vehicle you intend to drive does not meet the criteria described for either a Class A or Class B license. At least 16 passengers (to include you, the driver). Hazardous material (HAZMAT) as laid out by federal guidelines. Combination vehicles not described in class A or B. - EXAMPLE: A small truck towing a trailer.